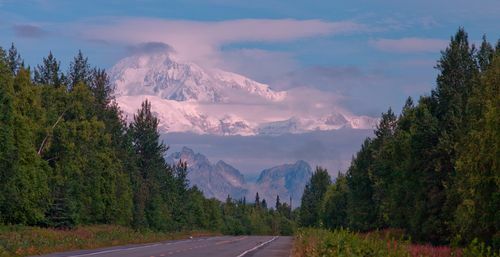 Dedicated to representing clients throughout Wasilla and the surrounding cities in Alaska, the Denali Law Group provides high-quality legal counsel and personalized help for those facing criminal charges, pursuing injury lawsuits, and those in the midst of family law issues. Whether you were arrested for a DUI on George Parks Highway, you need a divorce, or you were injured by a negligent driver in Wasilla, we can help to protect your rights and help you move forward. With over seven decades of legal experience and with a team of former prosecutors, our team is adept at handling cases both in and out of the courtroom, taking them to trial if necessary. Allow us to build a strong case on your behalf, no matter what type of complex legal case you are facing. Having a qualified lawyer by your side to help you determine your best course of action can make all the difference in the end result. Call (907) 357-5297 for a free evaluation for personal injury and criminal defense cases. Why Work With Denali Law Group? While our firm’s focus is on defending those accused of criminal charges, we also provide outstanding representation for personal injury and family law clients in Wasilla. We understand that no matter what you are going through, dealing with a legal issue is never easy. Allow us to compassionately guide you through the process at hand as we seek to procure a favorable outcome for you or your loved ones. You will never be handled like just another case number at Denali Law Group; we focus on treating all of our clients with a high level of respect. We will work closely with you from the moment you retain our firm, to the resolution of your case. Get started today by calling our Wasilla firm at (907) 357-5297 for the relentless advocacy you both need and deserve!